Using their platforms as a... well... platform to air their own views, they have found that they aren't immune to the usual slings and arrows (i.e. comments section and dislike buttons) which are being merrily thrown at them by their users and followers this festive season. The main problem seems to be that when the platform or their senior execs voice an opinion about anything, they are heavily criticised for what they don't say, as much as what they do. YouTube's 2018 Annual Recap Video seems inoffensive enough, but had the dubious honour of becoming the second most disliked video of all time on the YouTube platform... in only three days! The news about YouTube's seasonal flop comes straight after news that Jack Dorsey, CEO of Twitter, has come under fire for promoting Myanmar as a relaxing holiday destination. He is accused of 'turning a blind eye' (aka not saying anything at all) about the recent atrocities against the Rohingya people. Facebook has also been somewhat beleaguered recently in its ongoing battle with UK and EU authorities over data related issues. When summoned before British MPs, Mark Zuckerberg was a no-show. This went down like a Brussels-sprout sandwich, and the UK Parliament subsequently 'appropriated' some of his emails and made them public. It seems that Facebook's COO Sheryl Sandberg has also come under some heavy fire in the US. So while you're getting in the holiday spirit this year, just remember: anything you say, or don't say, can be held against you in the court of public opinion. The annual recap touting "the videos, music and trends that defined YouTube in 2018" has become the second-most disliked video in the website's history. YouTube Rewind 2018 has amassed over 6.8M dislikes at the time of writing, second only to Justin Bieber's 2010 single Baby which was disliked over 9.7M times. But while Bieber's dislikes came over the past eight years, YouTube was able to reach the milestone in just three days. Why has YouTube Rewind 2018 amassed over 6.8M dislikes? 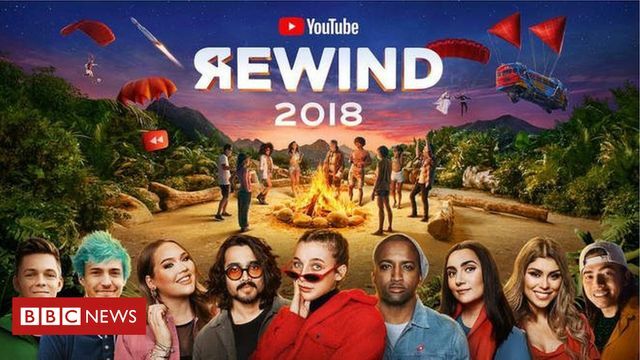 #Techie https://t.co/tSMdew1ruY YouTube Rewind 2018 becomes site's second-most disliked video https://t.co/tSMdew1ruY YouTube's annual recap becomes the website's second-most disliked video of all-time with 6.8M dislikes.